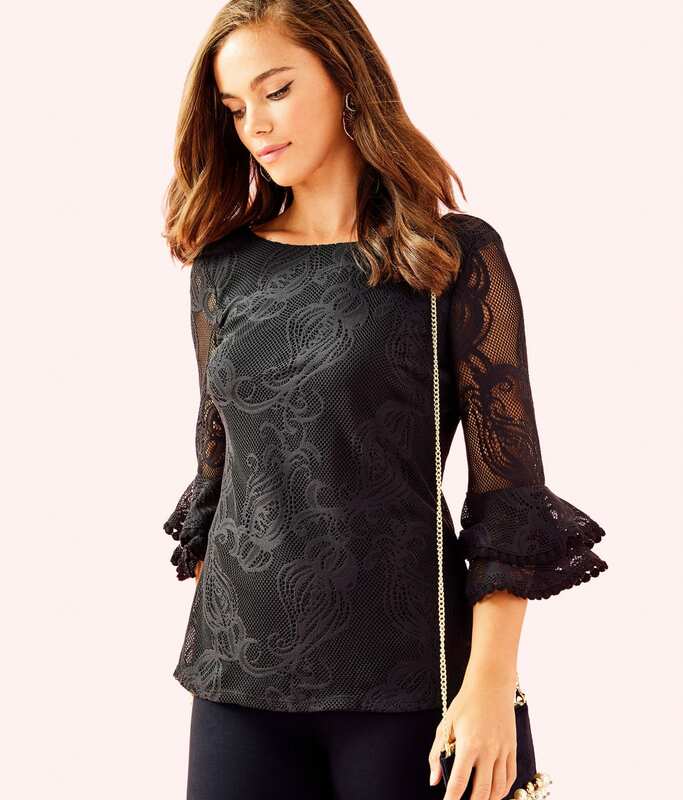 Easy Fit Lined Top With A Front Boat Neckline, Back V-neckline And 3/4 Lace Trimmed Flounce Sleeves. Is there such a thing as a neutral statement top? We think we may have just found it! This top easily pairs back to any bottoms in your wardrobe and is an outfit completer. Comfortable yet polished, we love the lined body, back V-neckline, and 3/4 lace trimmed flounce sleeves with custom crochet lace. You’ve got the hook-up: built-in lingerie snaps make this dress bra-friendly.